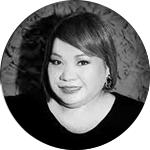 Rose “Osang” Fostanes (born January 2, 1967) is a Filipina caregiver and singer living in Israel, who on January 14, 2014, won the first season of The X Factor Israel On April 10, 2014, she signed a record contract with Star Records to release her music material in the Philippines. Her debut album My Way was released on June 8, 2014. In December 2015, Elijah Sparks released the single “Baby Love” that featured vocals by Rose Fostanes. She also received the following awards: Gawad America Awardee 2016 Best Global entertainer of the year, Bagong bayani Awardee held in POEA 2014 and Indie short film festival Asian excellence award for most outstanding female performer of the year 2016.